If Sudoku and Crosswords had a baby, this would be it!! 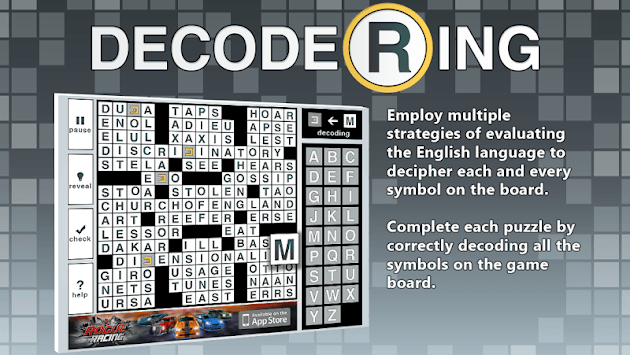 - Do decoding puzzles intrigue you? - Do you find problem solving fun? 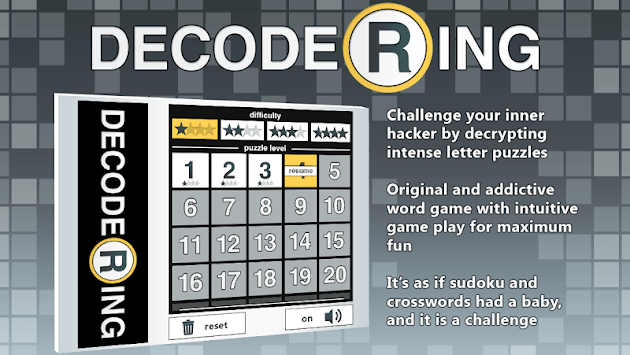 - Does completing a Soduku or crossword feel satisfying? - Do you have a way with words? - Are you up to a challenge? This is your kind of application! 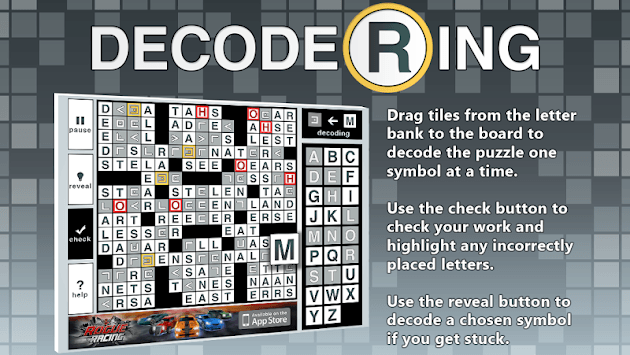 Decode the symbols on the crossword grid and bind them to letters on the Ring to make meaningful horizontal and vertical words on the crossword grid. Using intuitive and smooth touching and scrolling on the Ring, letters and symbols are bound or unbound for ease of puzzle-solving. Gameplay is designed to satisfy experts as well as novices, and everyone in between, complete with hints and reveals. This is a don't-miss for everyone looking for a non-mindless game! We have reinvented the gameplay mechanics so it can be played with ease. Do you have comments or questions about the game? We would be happy to hear your thoughts! You can reach us at [email protected] Don’t be a stranger! We cannot respond to questions or comments posted in reviews, so please be sure to use our contact info.